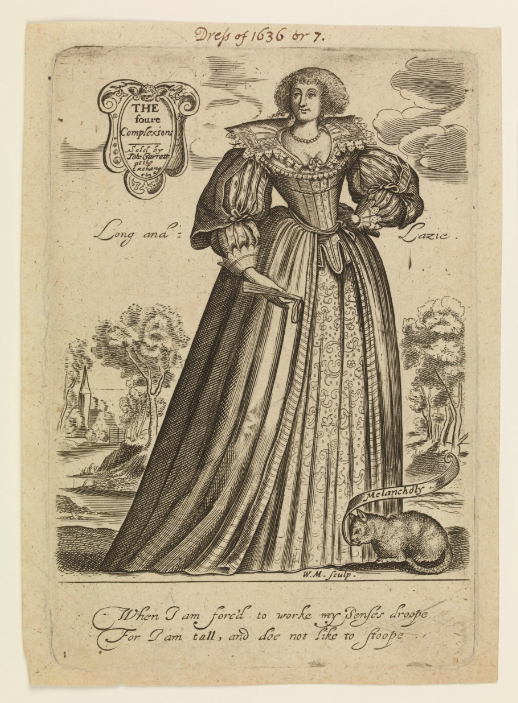 One of a set of prints engraved by William Marshall and published in 1637, this image shows a high class woman, though seemingly (from her expression) not quite as sad as the title would suggest. 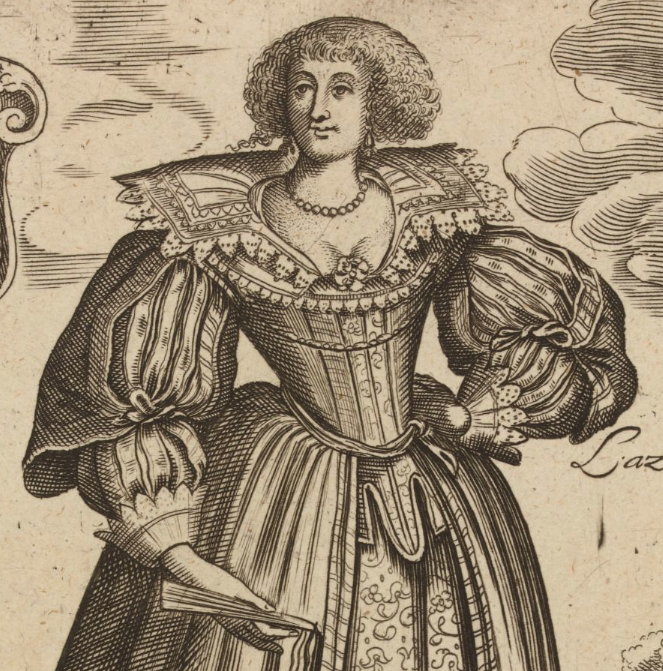 In this detail of her upper body, you can see how low the fashionable neckline was and notice the edge of her smock visible at the top of her bodies. This smock obviously doesn’t have a collar!